Welcome to Ninilchik Fishing Charters! First and foremost, we want thank you for taking the time to check us out! 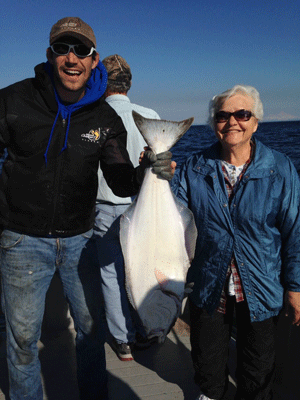 Because there are dozens of Ninilchik fishing charters, we understand picking the best one is crucial! With being one of the oldest outfits on the Peninsula, you can rest assured you’re in the best hands. 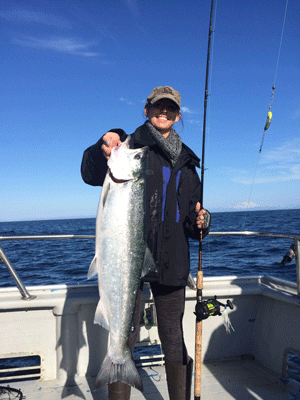 Ninilchik Charters is a well established, family owned and operated fishing and hunting charter. In this business, experience counts! Above all, our experienced team are confident your trip will be a success! Take a look below to find out more. Why choose us when there’s a million to choose from? Above all, we are the largest charter company on the peninsula, with TEN boats – more than any other outfit! This allows us to serve the most locations and to offer more flexible scheduling for our clients. We operate in Ninilchik, Deep Creek, Seward, Homer, both the Kenai and Kasilof rivers, and Kodiak, Alaska. In addition, our locations allow us to offer a wider variety in fishing options. From daily charters to 5 day remote fishing, we offer it all! Our dedicated team is available year round to help coordinate and fine tune the details prior to your arrival. Lastly, our team is known for being seasoned, professional, and family. From start to finish, our team will guide you through every step and provide nothing short of exceptional customer service. We are family here and the moment you walk through our doors, you’re with us for life! Let us know how we can customize your dream vacation this summer and get ready for a trip of a lifetime! In addition to 25 years of experience, we strive to hire only the best when it comes to your fishing captains, crew and team members. Because of this, we are proud to announce that we have more TripAdvisor 5-star reviews than any other company on the Peninsula. We’re friendly, professional, and knowledgable from start to finish and we are excited to work with you! Check us out today on tripAdvisor or just give us a call! A few years ago, a writer for Alaska Magazine made the rounds of Ninilchik, fishing with five companies in order to choose one to feature in an article. He chose Ninilchik Charters because he found us to be the friendliest and knowledgable, and he continues to fish with us today! Furthermore, fifteen years ago a producer in the Los Angeles area called three fishing charters in our area, without revealing his profession or intentions. We were the only one who returned his call. His purpose was to find a charter company interested in being featured in a TV show for Cabela’s. Cabela’s has been producing shows featuring Ninilchik Charters ever since. In conclusion, we’re not only responsive year round, but we also value your time and memories with us. We take pride in providing tournament grade rods and reels, as we are sponsored by Cabela’s and Pure Fishing! To complete the package, we carry top-notch bait and tackle on every boat to make sure every guest is fishing with only the best! Our equipment is updated yearly and re-stocked when needed to ensure every guest has what they need at the time of their fishing trip with us! More importantly, we understand that, for most, this is a “Once in a Lifetime” trip with fishing with us and visiting Alaska! We want to make sure you trip with us is successful and FUN! Thank you for choosing us as your Ninilchik Fishing Charters company and we look forward to fishing with you this season!